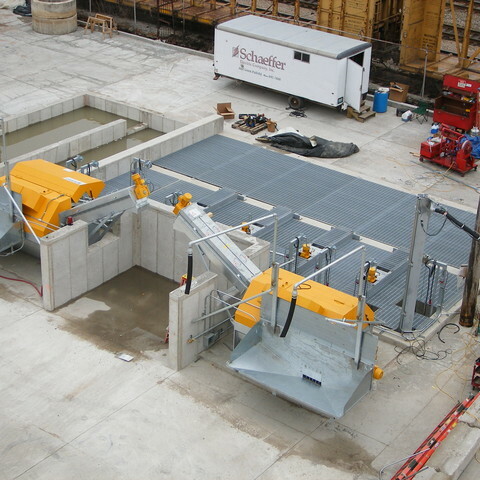 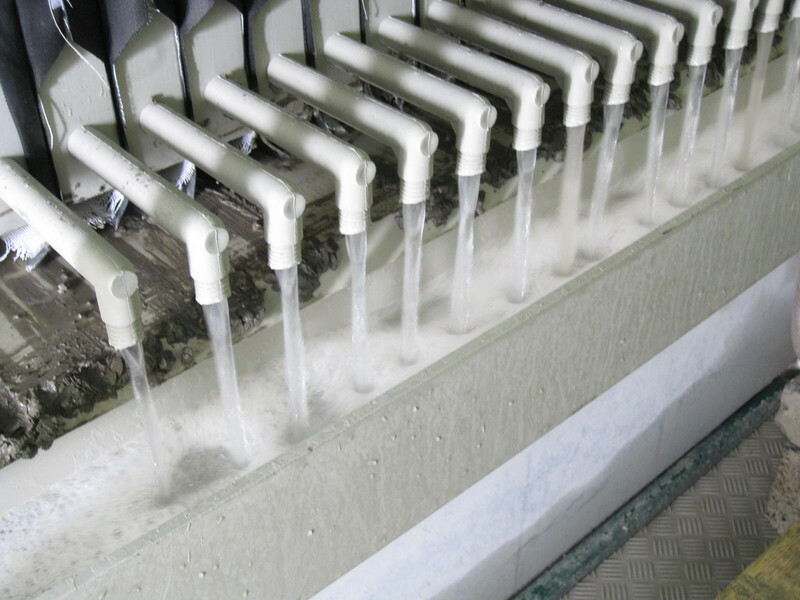 Execessive Concrete Washout water can be clarified by incorporating a filteration unit that uses the "Dortmund design principle". 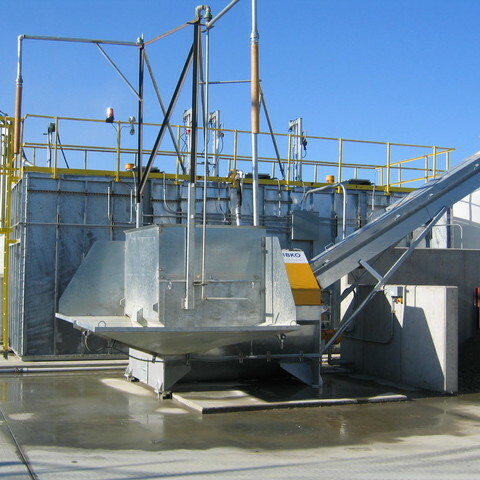 Slurry water is fed into the inner pipe and distributed throughout the filteration media. 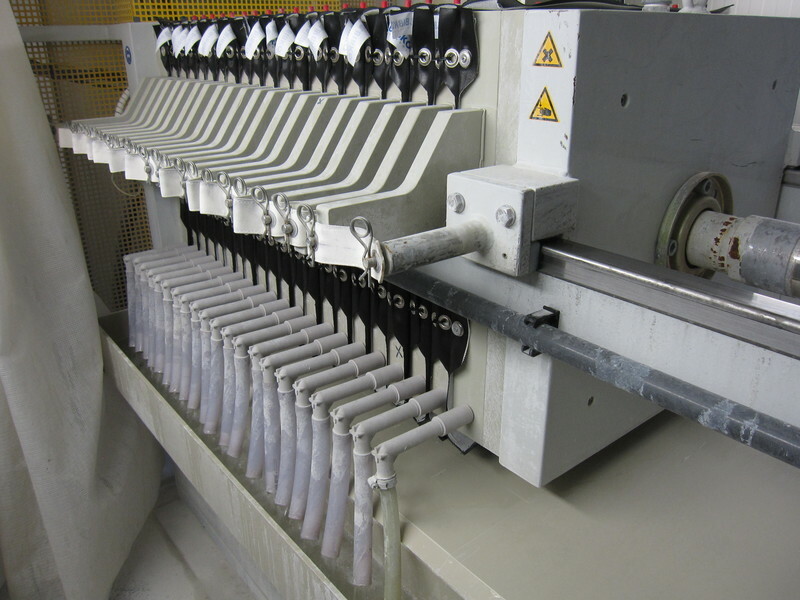 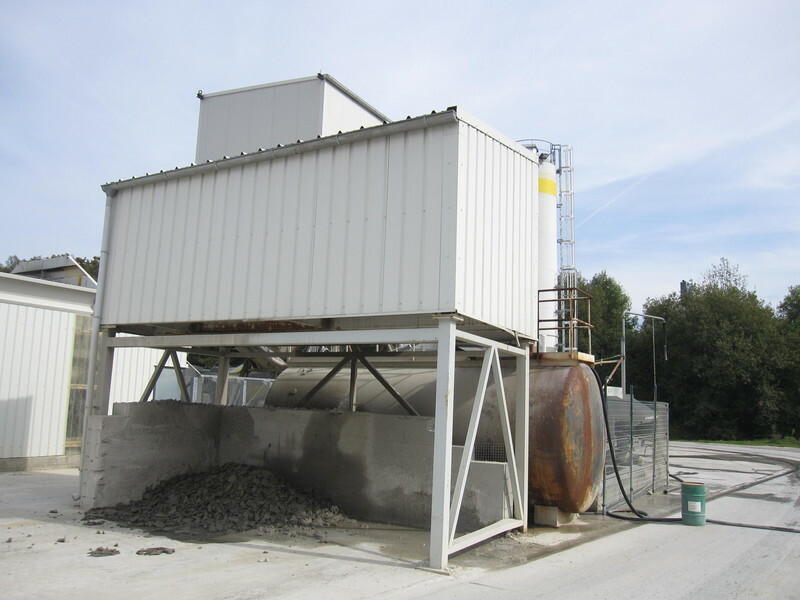 A hydraulic system compresses the filters allowing clarified water to be returned back to the batch plant for re-use. 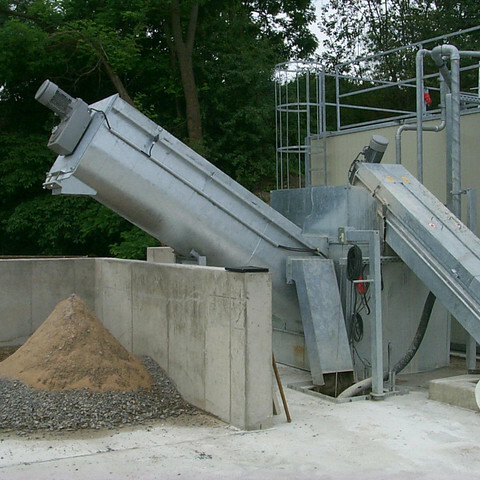 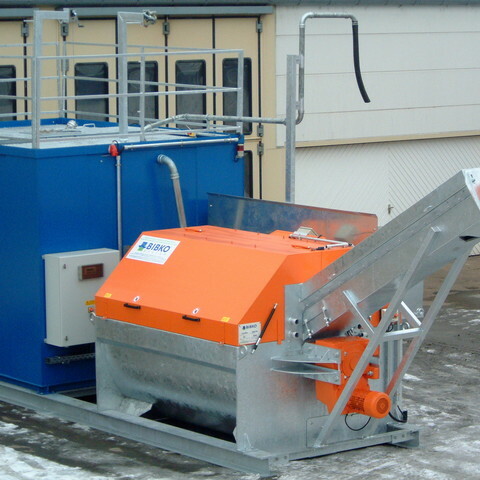 Slurry fines are discharged from the filters at approximately 25% - 30% moisture.